Nearly twelve years ago, I met an author. She wasn't an author then but she would be...twelve years later. Missy Fillion and I met as brand new moms, paired together by the all-knowing lactation specialists at the hospital where I delivered my first born. Through an odd postnatal combination of dating service meets Welcome Wagon, we were introduced to each other and our new lives of motherhood. While mired in dirty diapers and sleep deprivation woes, Missy and I also shared a common love of books and writing. Speaking over our babies coos and cries, we cautiously shared with each other our personal desires to write one day. Those were ambitious words spouted from someone wiping baby spittle from her shirt. Neither of us knew if those spoken dreams really held any promise at the time. All these years and countless clean shirts later, Missy put her keyboard where her mouth and dreams were and self-published her first novel in January 2012. 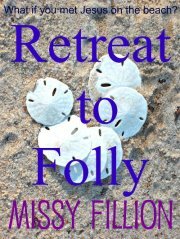 Retreat to Folly is a fictional account of Susan, exhausted mother of three young children, who attends a beach retreat in hopes of resurrecting a sliver of her old self again. Instead, Susan gets much much more. A solitary pre-retreat walk on the beach turns into a weekend long series of conversations with Jesus. The end of the conversation and weekend leaves Susan with a greater sense of her place in the world as a mother and wife and child of God. Haven't we all at one point in our lives wished for a divine audience, a honest to goodness sit down with God to get a few things straight? I know I have wanted that several times. Most of those times have sprung from some mothering adventure. Such is the case with Susan. The drudgery of her mothering life has left her feeling empty and unable to appreciate the beauty and love right there in her own home. She can't see the forest for the diapers and bags of mother's guilt hanging from the trees. And Lord knows, Susan herself is lost in the woods. Her walks on the beach with Jesus bring Susan out of her self-inflicted forest and to a place of peace and appreciation for her roles. I spoke with Missy about the book. As is common for first novels, she indicated that the book is somewhat autobiographical. Missy will be the first to admit (and I will be behind with a quick second) that mothering is a spiritual journey itself. Missy calls her children "her greatest spiritual teachers" and this book is the processing of the early stages of her spiritual education as a mother. Her characters, Susan and the retreat leader Leonie, represent different points on the spiritual mothering road. The book is set in Folly Beach, South Carolina close to Charleston from where Missy hails. Several of the scenes, with artistic license adeptly applied, are inspired from actual beach moments in Missy's life on and near Folly. My favorite part of the book involves Susan's inability to complete the simple retreat activity of collecting shells on the beach. Encumbered by her own ideal of perfection and expectation, she comes up empty handed, unable to see the simple beauty in a shell when thousands of examples lay at her feet. Later in the story, Susan unexpectedly uncovers several perfectly intact sand dollars (her favorite) and is able to gratefully acknowledge their beauty and leave them on the beach for the next beachcomber to enjoy. Susan in an earlier time would have hoarded the fragile examples of perfection for herself, never believing that such goodness would come around again. The new Susan knows that goodness abounds; to see it, you just have to open your eyes and your heart. Retreat to Folly is available for download from Amazon and Barnes and Noble. The paperback edition is currently under production and will be available soon. You can also find out more about the book on Facebook. Congratulations Missy on your first novel! So happy for you! 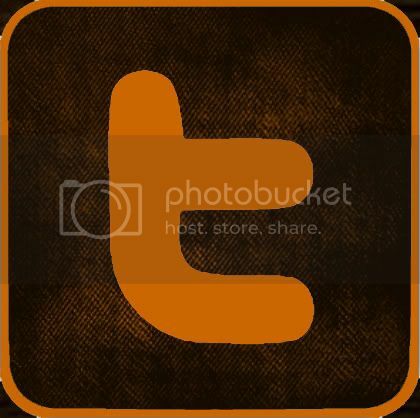 I'm definitely going to look the book up! Congratulations to your friend!